Product prices and availability are accurate as of 2019-04-24 05:34:39 UTC and are subject to change. Any price and availability information displayed on http://www.amazon.com/ at the time of purchase will apply to the purchase of this product. 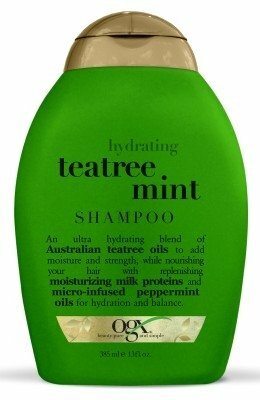 Teatree Mint - Strong and soft? That’s a refreshing thought. 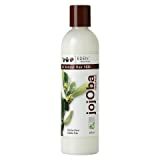 Infused with Australian tea tree oil and milk proteins, it helps to moisturize and strengthen your mane. Micro-infused with peppermint oils, it helps to stimulate each strand and wake up your senses. Re-energize your hair with this blend of active ingredients. Australian tea tree oils, milk proteins and micro-infused peppermint help to strengthen and moisturize while bringing balance to your scalp. A three-in-one treat in one refreshing formula. Unique blend of natural and sulfate free surfactants for hydration and balance. Paraben free. How to Use: Apply OGX Shampoo generously to wet hair, massage into a lather through to ends, then rinse the hair thoroughly. After shampooing, follow with OGX Conditioner. For best results, use in conjunction with other OGX products. 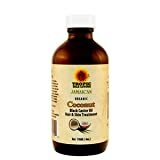 Ingredients: Water (Aqua), Sodium C14-16 Olefin Sulfonate, Cocamidopropyl Hydroxysultaine, Sodium Cocoyl Isethionate, PPG-2 Hydroxyethyl Coco/Isostearamide, Melaleuca Alternifolia (Tea Tree) Leaf Oil, Hydrolyzed Milk Protein, Mentha Piperita (Peppermint) Oil, Panthenol, PEG-120 Methyl Glucose Dioleate, Dimethicone, Amodimethicone, Sodium Chloride, Glycol Stearate, Guar Hydroxypropyltrimonium Chloride, Polyquaternium-6, Polyquaternium-10, Laureth-4, Laureth-23, Cocamidopropyl Betaine, Cetrimonium Chloride, Trideceth-12, Tetrasodium EDTA, Citric Acid, Fragrance (Parfum), Diazolidinyl Urea, Iodopropynyl Butylcarbamate, Yellow 5 (CI 19140), Blue 1 (CI 42090).